Picture from simon3 : Looking west from Knockfeerina down the ridge. Picture: Looking west from Knockfeerina down the ridge. Green farms and a historical red road. 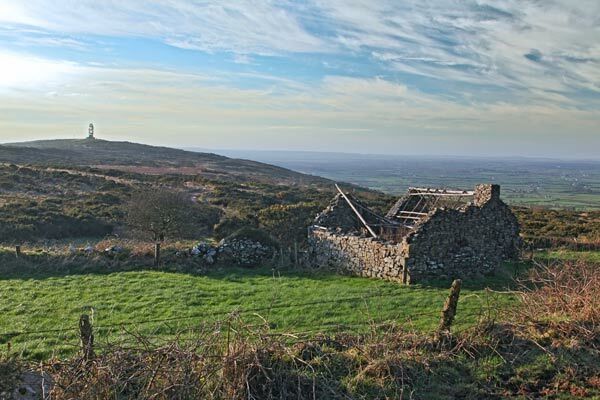 The walk up Knockfeerina shows you greater and greater views as you slowly ascend. And it also shows you an area with abandoned houses speaking of the famine and the ensuing rebellion of 1848 in nearby Ballingarry. There is a large famine memorial at one point.